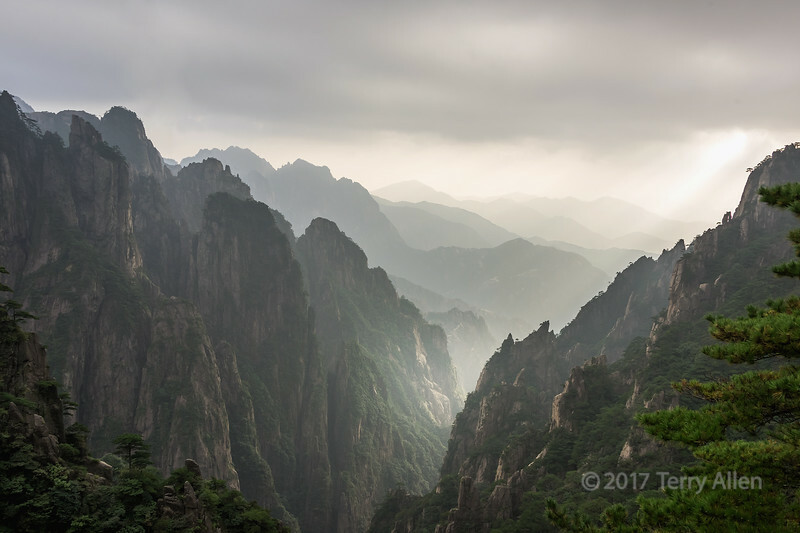 A shaft of late day light adds depth to the layers of granite peaks in Huangshan National Park (Yellow Mountains), a UNESCO World Heritage SIte. Its soaring granite cliffs and picturesque pine trees have had a significant influence in Chinese arts and literature, especially Chinese ink painting. Many of the peaks and old Huangshan pine trees have names. Excellent mood in this wonderfully rugged landscape. I certainly can see the influence of the landscape in Chinese painting. I love that even some trees have names. Thank you for looking and commenting! Magic scenery and light !!! Wonderful image !! !